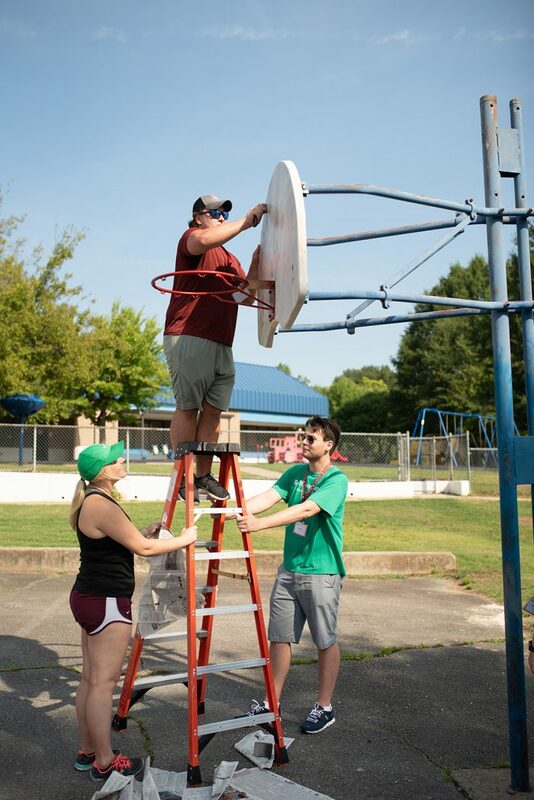 On August 11, 2018, students from the UA Little Rock William H. Bowen School of Law visited Rockefeller Elementary and Early Childhood Center for their First Week community service project. The participants included the entire new first-year class, comprising 141 students, and 15 Dean’s Fellows, who are upper-level students. The goal of this project was to allow law students to put Bowen’s core value of public service to work. 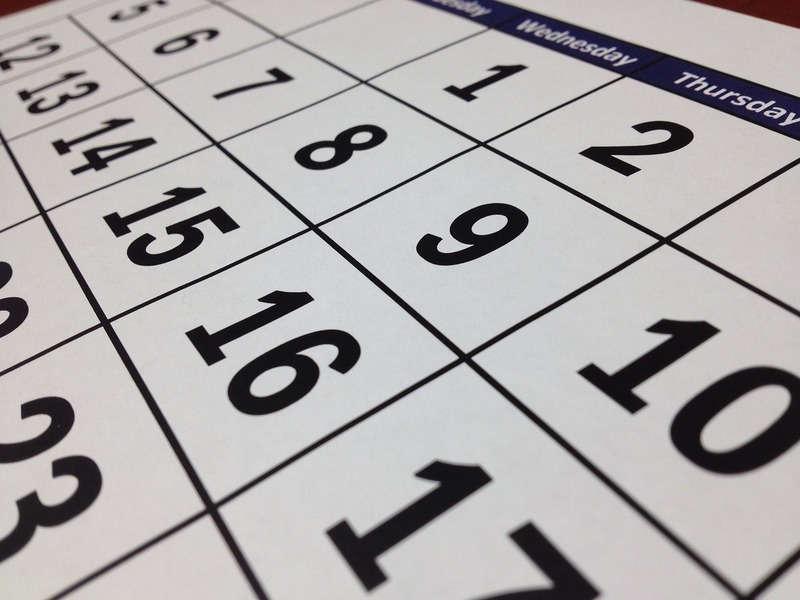 The Rockefeller community service project allowed incoming first-year law students to work towards a project that would affect the community of Little Rock. Additionally, the project provided an opportunity for the students to bond and work as a team before classes begin. This is especially important because one-third of the class are out-of-state students. 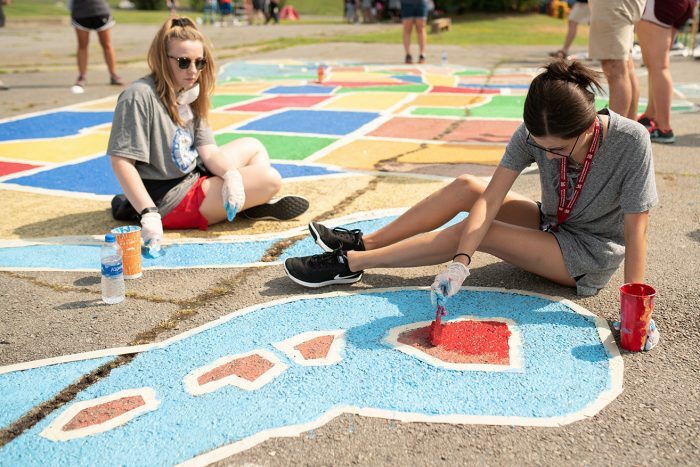 At Rockefeller, law students repainted basketball goals and attached new nets, repainted the map of the U.S. on the playground, as well as constructed a paper tree in the cafeteria that they filled with encouraging notes to students and teachers. Additionally, Bowen students landscaped Rockefeller’s main entry by planting flowers and greenery, mulching and irrigating the flowerbeds, painting retaining walls, weeding around the grounds, and trimming crepe myrtles on the campus. Sarah Fendley, a second-year law student and Dean’s Fellow who participated in this project, said it was very important to remember that children are part of the future of our community in Little Rock, as well as the nation. 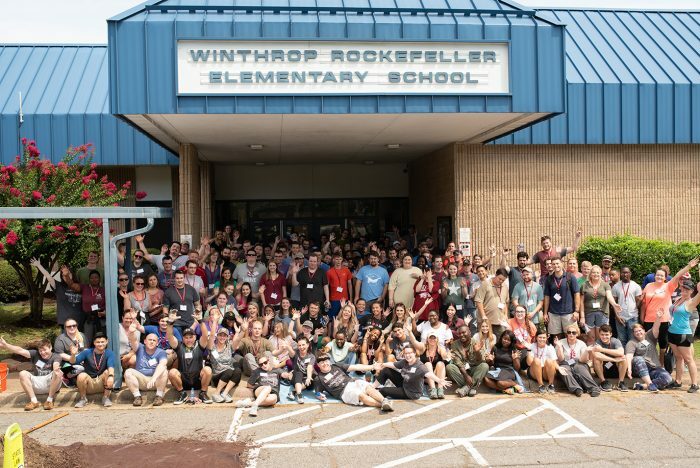 Dr. Shoutell Richardson, principal of Rockefeller, said the staff at Rockefeller were delighted to enter the doors for the new school year, surrounded by a positive climate that is conducive to learning.